V&A · The Institute of Patent Infringement. The Institute of Patent Infringement. 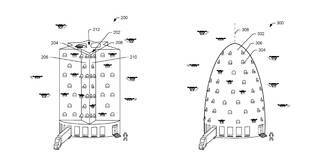 This open and hackable patent library by The Institute of Patent Infringement presents dozens of patents recently filed by Amazon. Come and browse this strange future being imagined by Big Tech firms, before taking the opportunity to hack, alter and repurpose them for ulterior aims.